During the second stage debate of the Thirty-fourth Amendment to the Constitution (Judicial Appointments) Bill 2013 in the Dáil last Friday, Mick Wallace TD spoke about unsolved murder of Fr Niall Molloy in 1985. “A final example of what can go wrong when judicial appointments are political and when judges are too close to political parties is the case of Fr. 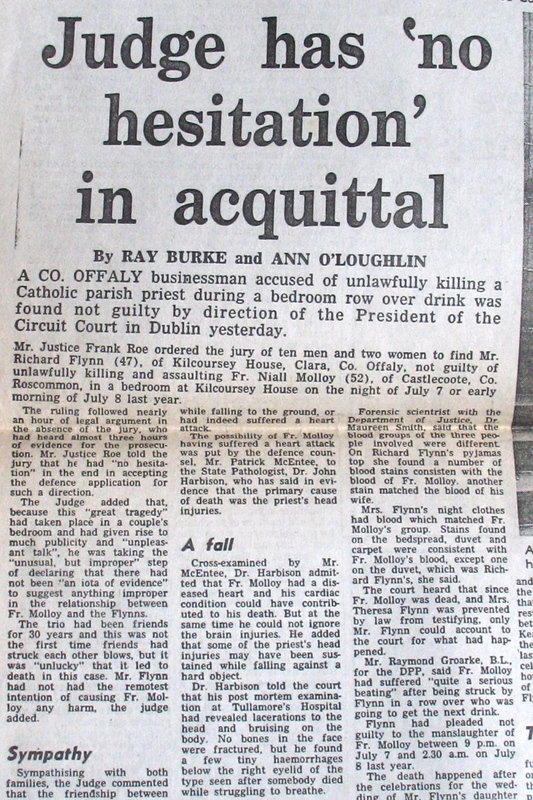 Niall Molloy’s murder. 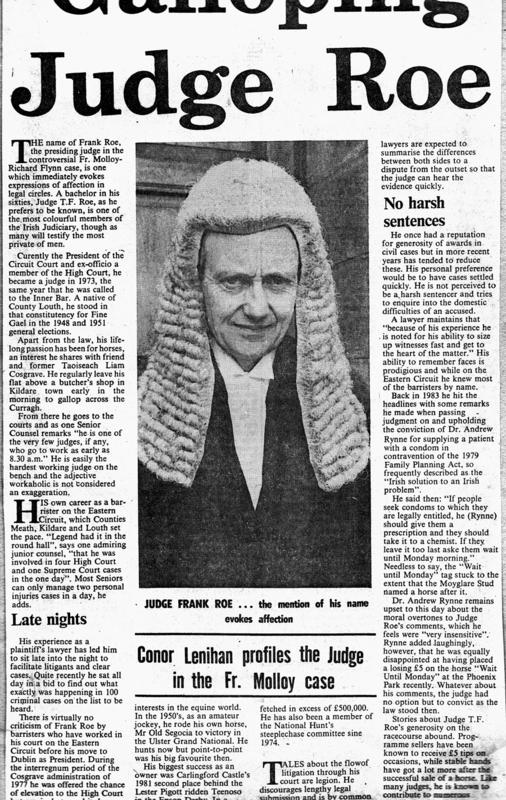 Mr. Justice Frank Roe was appointed President of the Circuit Court just before Richard Flynn was tried for the manslaughter of Fr. Niall Molloy in 1986. 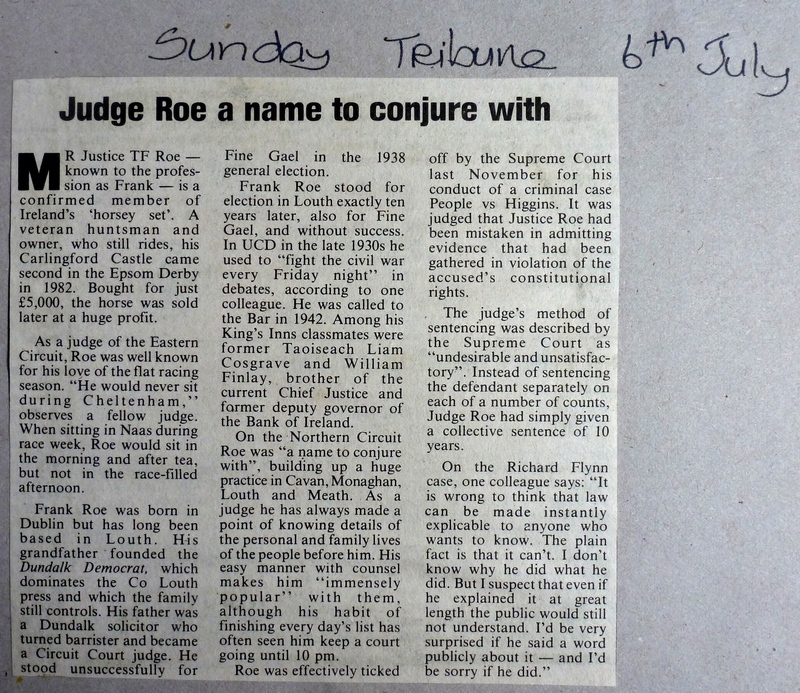 Judge Roe was a personal friend of Richard Flynn, the defendant. Despite this fact, he first decided to assign the case to himself, in an extreme abuse of the power that came with his role as President. 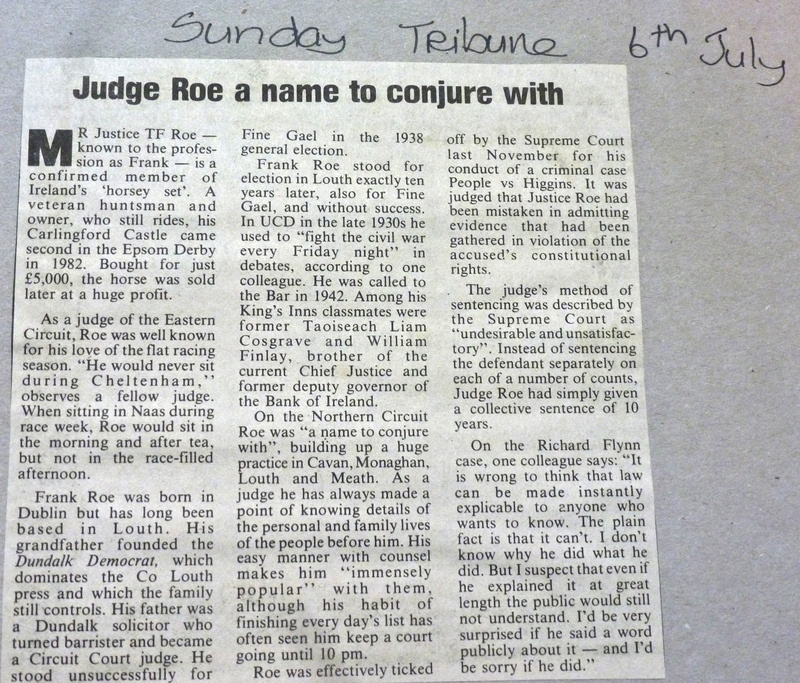 He then withdrew the case from the jury after three and a half hours, without letting it consider any of the evidence and directed it to acquit. One eye witness reported that the then deputy leader of Fianna Fáil, Brian Lenihan Snr., was in the room which was the scene of the murder. Although I welcome the eventual appointment of Dominic McGinn, senior counsel, to review the Garda investigation into the Fr. Niall Molloy murder and hope the facts and background to the case, to include its strongly political background, can finally be ascertained and that the family of Fr. Niall Molloy may gain some justice and peace, it is yet again a shame that this decision to review has only come after a delay of almost 30 years. Mick Wallace, Ming Flanagan and Clare Daly speaking on Father Molloy and appointment of Judges.